Welcome and we look forward to having you as an active parishioner. For 100 years Holy Redeemer Catholic Church has been serving our community here in Chatham. 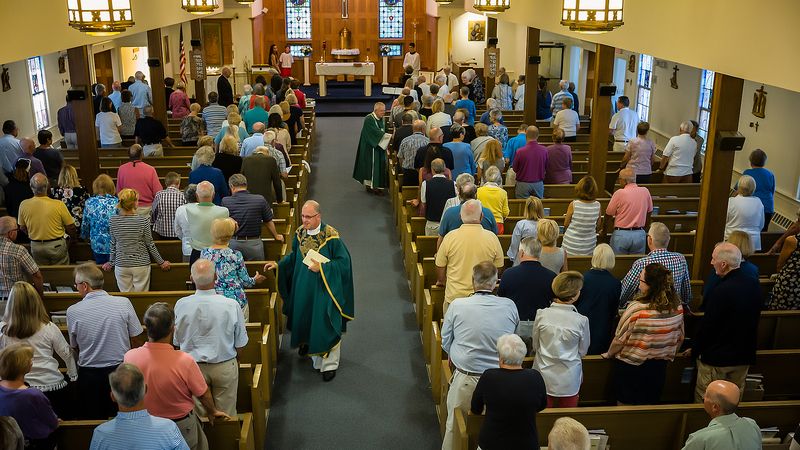 We strive to be an active community that shares the love and good news of Jesus Christ with all in our parish. Please introduce yourself to Fr. John Sullivan or Deacon Joe Mador after Mass. Schedule for Ash Wednesday and Holy Week. 8:00 a.m. 12.05 p.m. 7:00 p.m.
8:00 a.m. 10:00 a.m. 12:00 p.m.